Vocational and work-based learning is important in the nuclear industry. In fact some of the NDA’s estate’s most effective senior business leaders and site directors took these routes in developing their careers. For some reason though, apprenticeships went out of fashion and the UK’s emphasis on vocational learning stuttered. We somehow slipped into believing that individual success should be measured by academic qualification alone. Fortunately I believe that the tides have now turned. Whilst academic full-time qualifications continue to have their place, for many professions and for many students, the UK is once again turning its attention to work-based learning. What is different in the current “apprentice revival” is the variety of options available. There are apprenticeship standards in all sorts of different vocational areas, at all levels, and aimed at all sorts of students. Gen2 Training is a training organisation based in north west England. They work with over 250 employers. In the last 13 years, they have trained over 2,000 apprentices, with 94% of those trained progressing into full-time employment with their employer after completing their training. 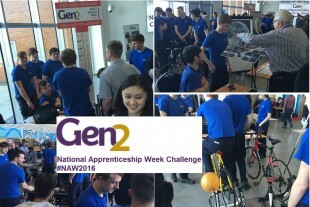 This commitment for apprenticeships was showcased at the Gen2 National Apprenticeship Week Challenge on 17 March. I was left wondering how much of this I would have been able to achieve so confidently at 17 or 18 years of age. 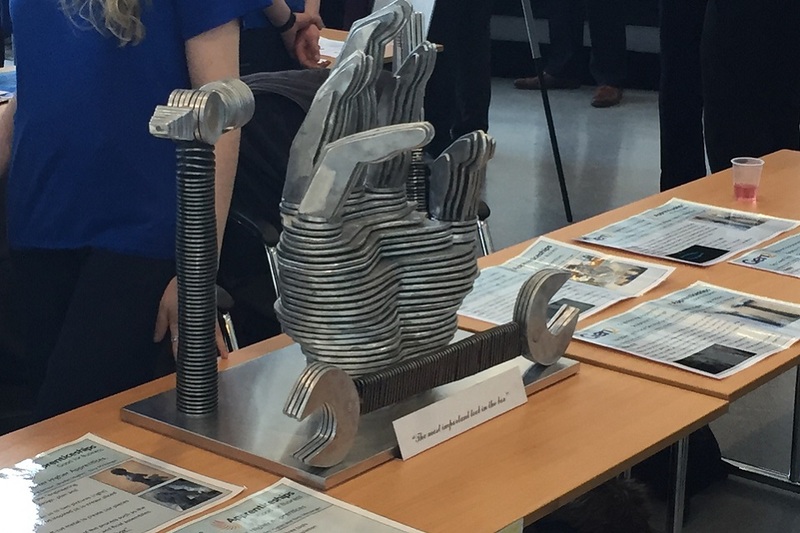 These apprentices came from range of companies, from a range of disciplines and training providers, but what was consistent was the high standards that they all demonstrated. The confidence, presentation, output and teamwork were all exemplary. Their presentations and achievements would eliminate anyone’s doubts about the quality of our education system, especially its apprenticeship arm. There are always inspiring stories at these kind of events. A polite, well presented young man proudly and confidently presented his journey via a traineeship to an apprenticeship. His passion stemmed from his belief that his traineeship had literally saved his life. He had hit rock bottom in terms of self-worth and confidence. The traineeship enabled him to be proud of his strengths and provide necessary skills to open up access to vocational learning, which in turn positively impacted on his self-confidence. So as National Apprenticeship Week ends, let’s keep apprenticeship solutions at the forefront of our workforce planning. Let’s think creatively about the ways in which we can widen participation in apprenticeship programmes and introduce greater diversity in our future workforce. I am sure the nuclear industry will really benefit from the buzz and energy that these young people will bring.